Open Source Console powered by Android? You already heard, it will be called OUYA and it will attempt to bring game titles into TV screens, and what's attractive about this console is that it has a cheap price, it's open source oriented, and is powered by already world popular mobileOS Android. We have already seen that major Gaming Consoles into the market have made things very difficult for Independent Developers and for many other Gamers by restricting many options. Independent Titles have offered quite joyful experiences for gamers by creating innovative games. Indie Developers are very important and are changing the course of gaming experience. OUYA could be an excellent alternative and the thing which we are looking for? I am hoping so, many creative developers have focused their attention toward the mobile market like Android and iPhone. But, OUYA is trying to bring this developer-friendly climate into TV screens. Moreover, it will offer free development tools for Game Developers. The fact that OUYA Project managed to collect $8,596,474 which is almost 8 times more than the $950,000 goal speaks for the excitement of the crowd. Recently, it has also managed has raised $15m of new funding from VC firms including Kleiner Perkins Caufield & Byers, Mayfield Fund, Shasta Ventures and Occam Partners, as well as chipmaker Nvidia. There is no doubt that in front of this vast amount of funding raised by the OUYA team we see a very exciting project in front of us. 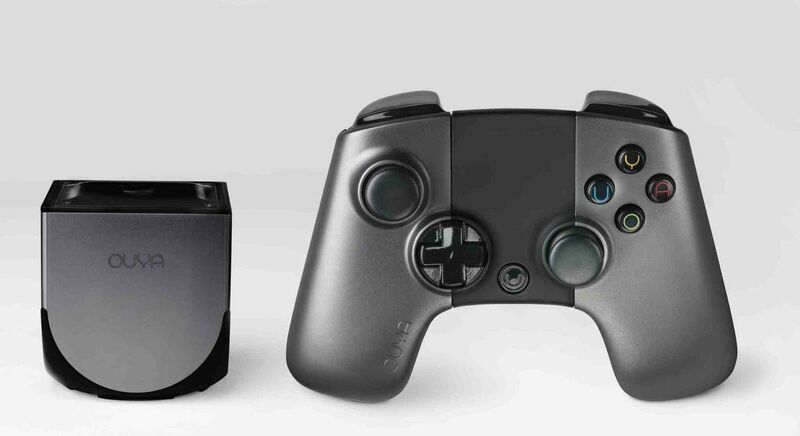 Just as the new OUYA board member the game developer veteran Bing Gordon said: "There are some types of games that can only be experienced on a TV, and Ouya is squarely focused on bringing back the living room gaming experience." Regarding the hardware OUYA console is a little cube with an elegant design. It has one controller with a similar design to other console's controllers. OUYA has it's own UI too with 4 menu options: Play, Discover, Make and Manage. Make is intended for game developers and Manage is where the Settings are. After you download and install a game it will appear under Play, and Discover is where the game store is. It's interesting that the ifixit website ranked Ouya Repairability Score: 9 out of 10 (10 is easiest to repair). Check this interesting review regarding the OUYA hardware. I am expecting this Game Console to have a huge success in to the gaming market. It's the world's first Android based TV gaming console and is Open Source. It will probably be very popular among Indie Developers. We will probably witness amazing Indie Titles being target on OUYA console.